"The Predator Cannon is a rotary cannon manufactured by Lastimosa Armoryemployed by the Titan Legion. 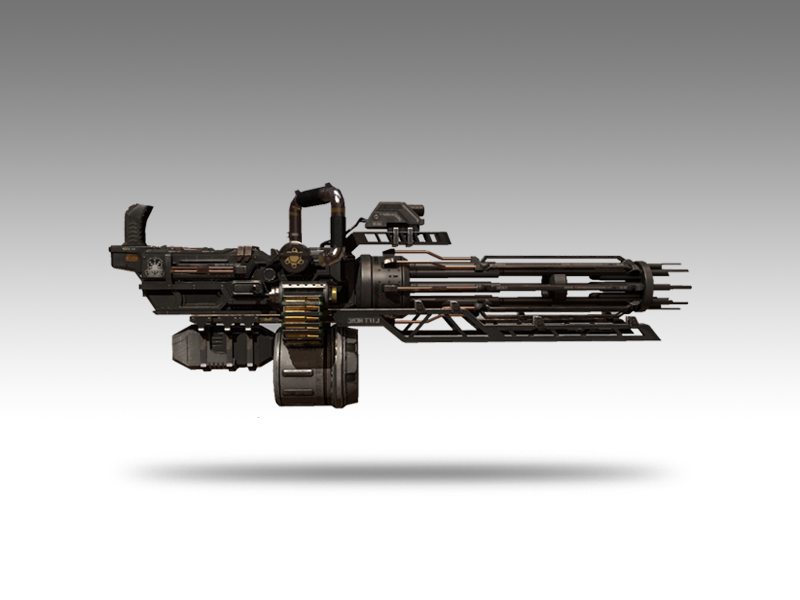 The Predator Cannon is a rotary cannon utilised by the Legion chassis, used for front-line damage output. Before firing, it requires a short "spin-up" time before it can start sending lead downrange."